A diamond cluster of baguette and round cuts make up the center, with swirls of baguette diamonds that spring gracefully outward. Interspersed around the edges are round brilliant diamonds that also adorn the fancy bail. The total diamond weight is an astounding 8.80 carats. 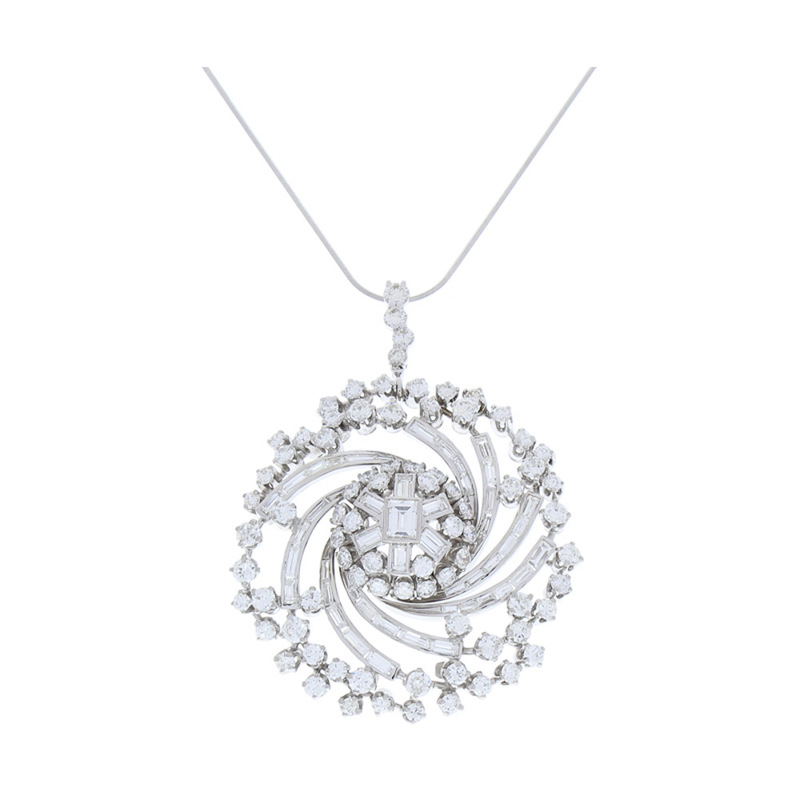 The piece is artfully crafted in enduring platinum; this pendant can easily be converted to a brooch.